A friend of mine lend me his 5-strings bass for me to practice for a fill-in. The instrument feels absolutely flaweless, and the sound is perfect. However when taking a close look at the bridge, I noticed the low B string was slightly higher than the other strings. It even seems it is going to pop out from the bridge at any given time (although it doesn't feel like it, and I have been playing it all day long without any troubles). 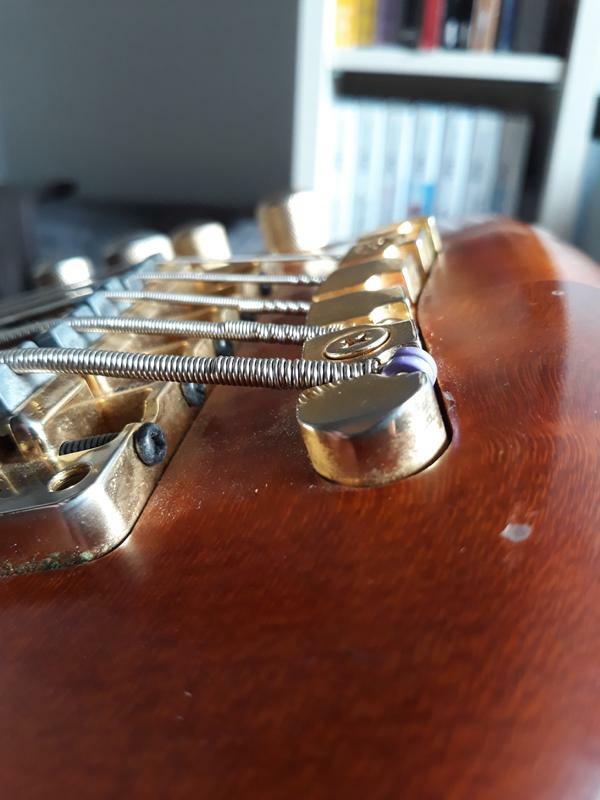 When lowering the B string tension, I cannot push the ring any deeper, which worries me a lot. I'm just hoping it will not pop out during the gig ..
Is this a normal state ? 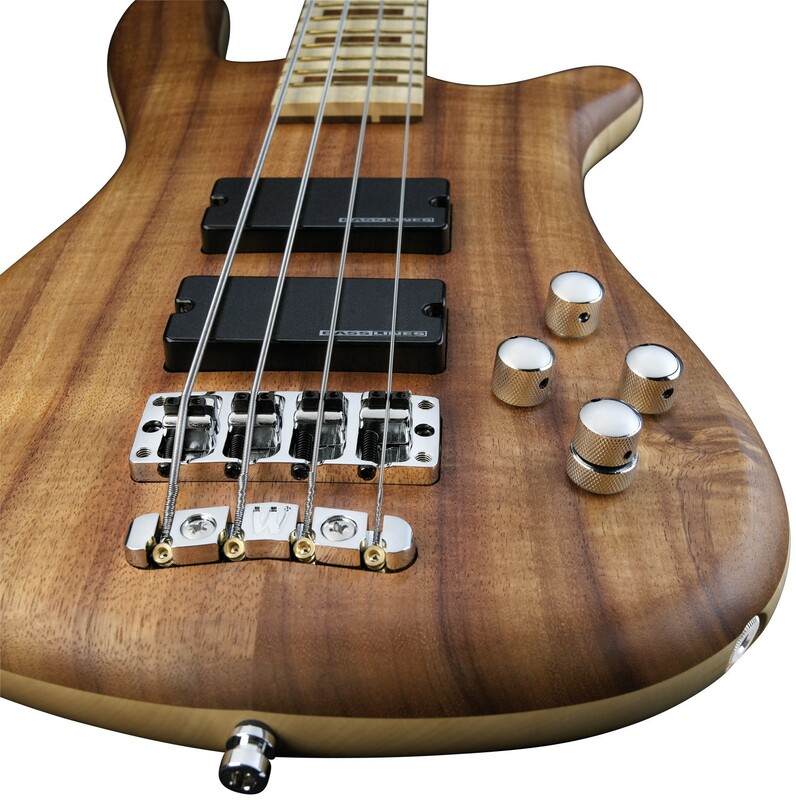 Should I get a thinner B string for it to fit deeper in the bridge ? You could try to play a little more vigorously just to see if the extra tension will pop it out. If it doesn't, you'll be a little more comfortable to play without having to worry with it; if it does, you'll need to install it again and you can align the ring, but at least it happened out of stage and you'll have time to do it calmly. Not the answer you're looking for? Browse other questions tagged string-instruments bridge or ask your own question. String ordering - Top vs bottom?